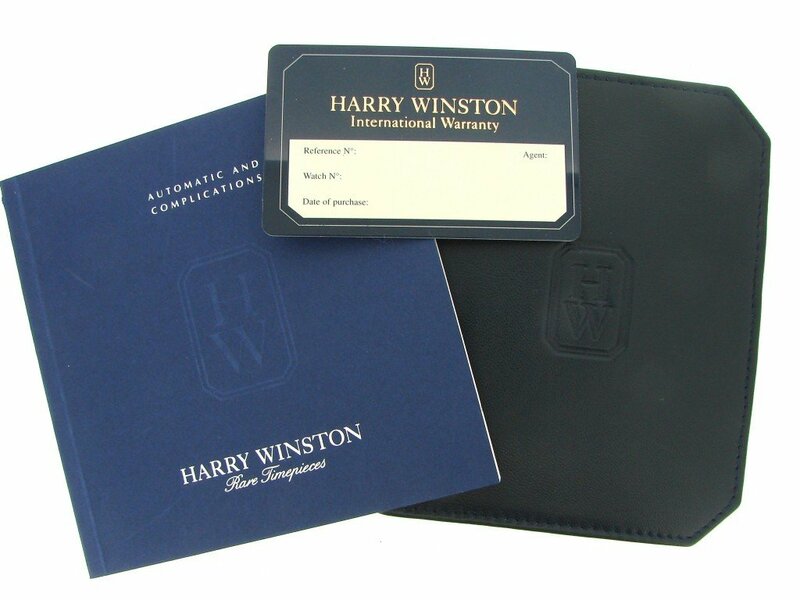 BeckerTime is proud to offer this amazing 100% GENUINE HARRY WINSTON timepiece. 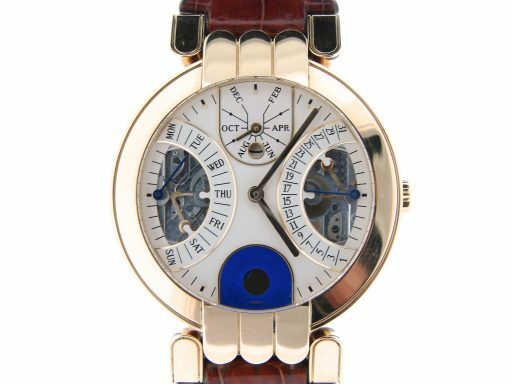 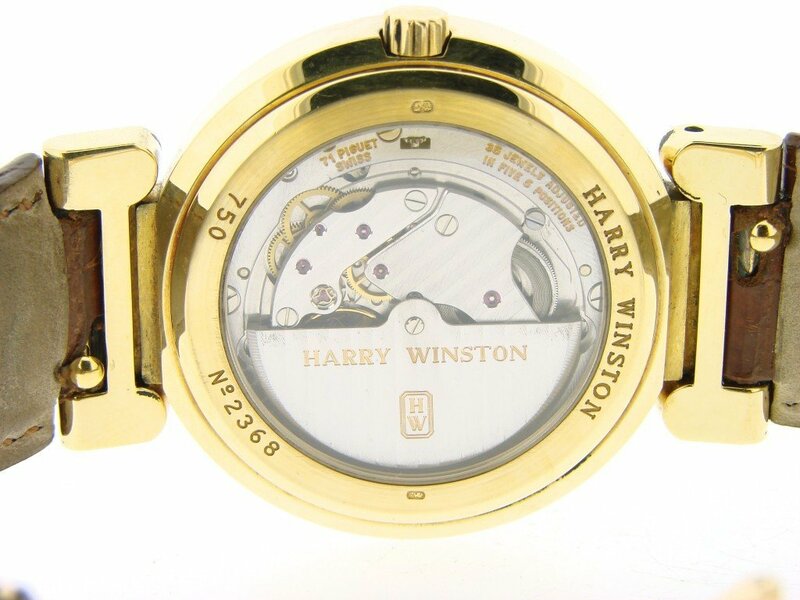 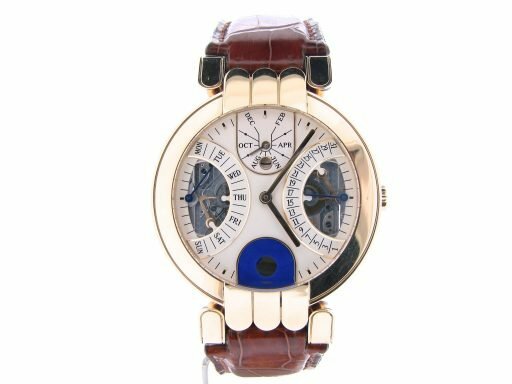 It is a Mens Harry Winston 18k Solid Yellow Gold Automatic Bi-Retrograde Perpetual Calendar w/Moonphase Dial & Leather Strap that is guaranteed to impress!! It is in MINT CONDITION and LOOKS NEW ON THE WRIST! This watch comes with the BeckerTime 1 year warranty! 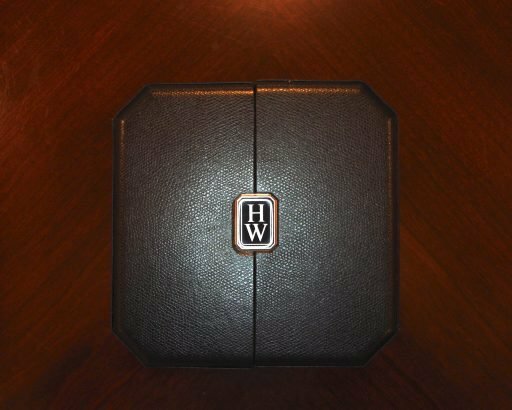 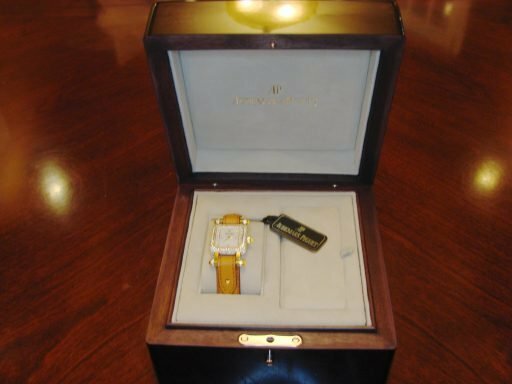 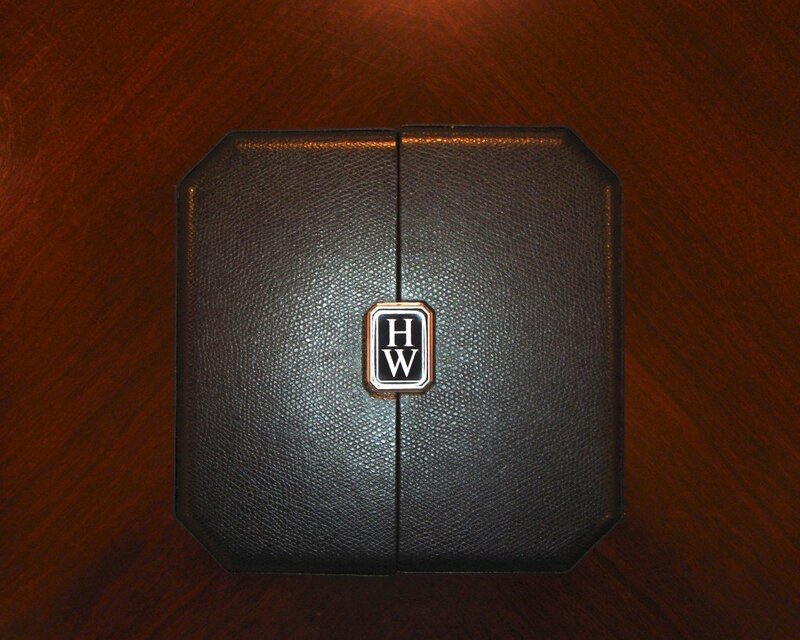 This lovely timepiece also comes with the original HW presentation box and original HW booklet. 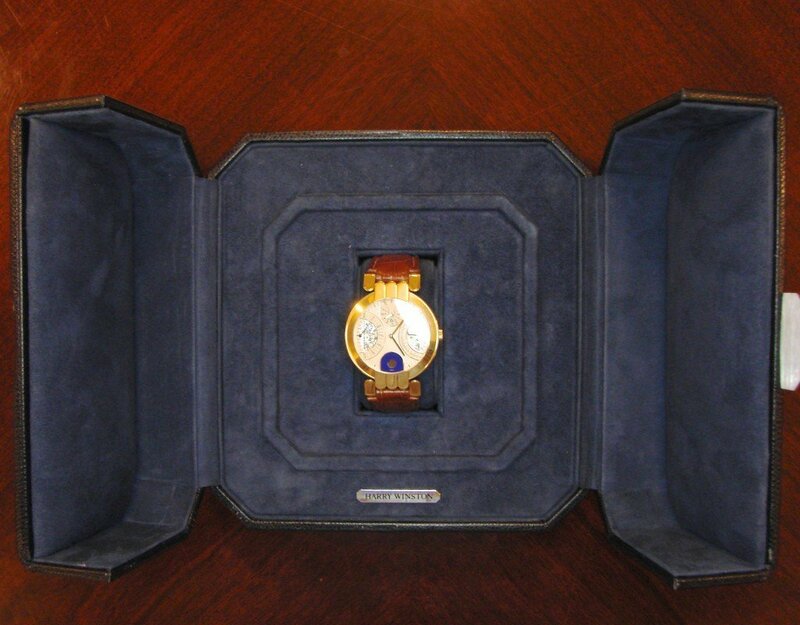 Finding a Harry Winston timepiece in this good of condition at this price doesn’t happen often…This would sell brand new for $110,000 plus tax today. Dial Original Harry Winston white dial with bi-retrograde calendar function and blue moonphase stone window is in pristine condition. 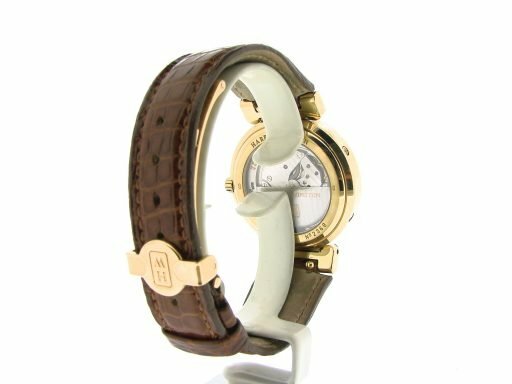 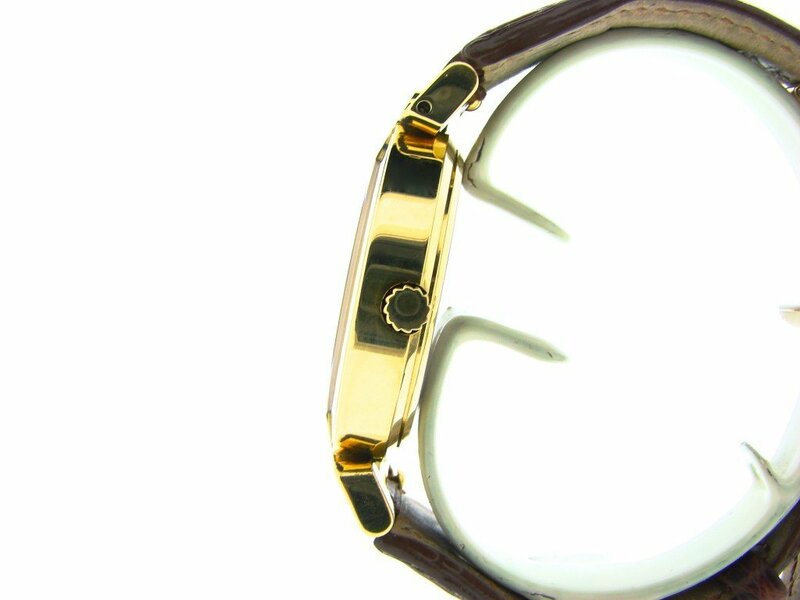 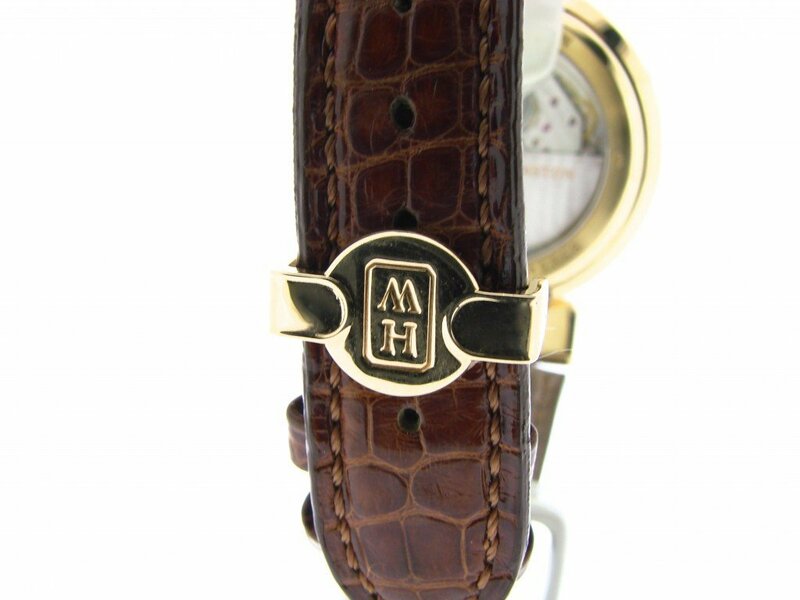 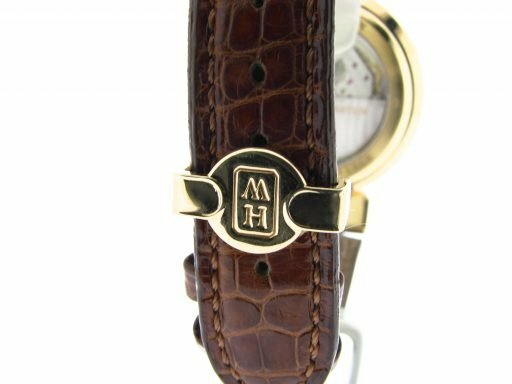 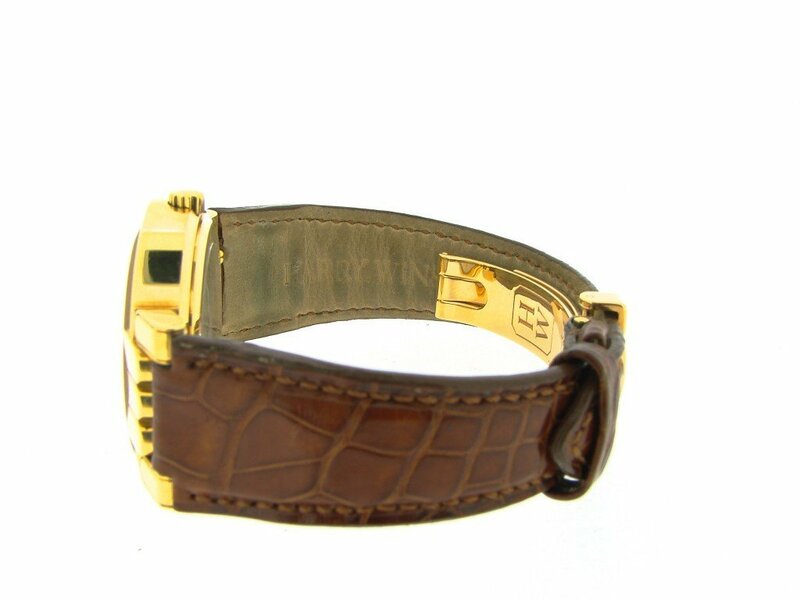 Band Original Harry Winston brown leather strap with 18k yellow gold Harry Winston signed deployment buckle is in mint condition. 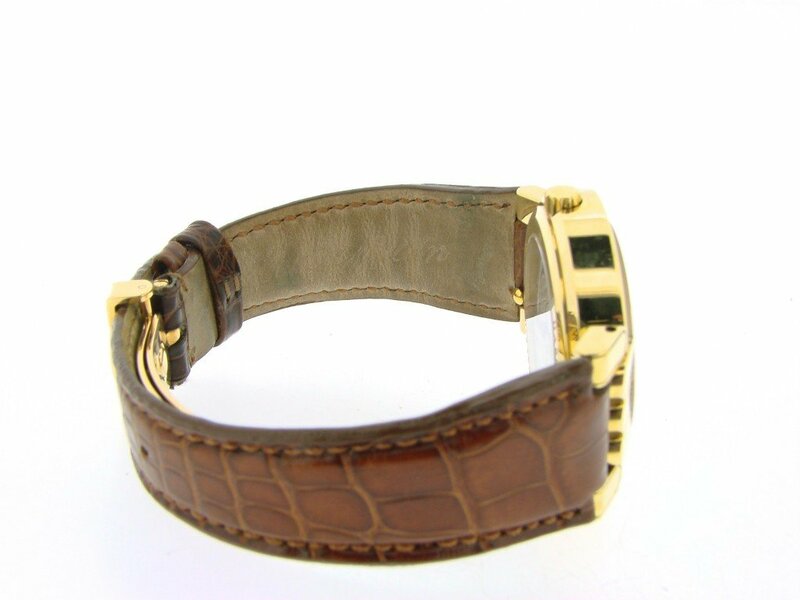 Wrist Size It will fit a 7″ up to an 8″ wrist.